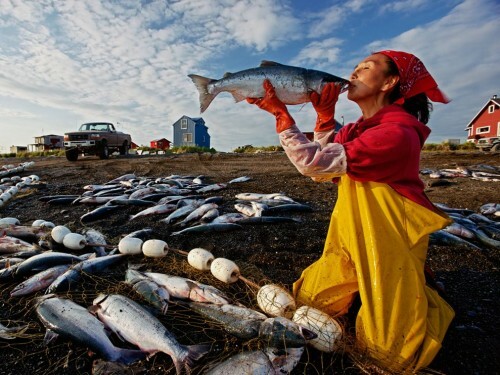 via National Geographic Photo of the Day. dud, i know her, i went to DMHS (Dillingham Middle/ High School) from 7th to 9th grade, right now, im going to school in sitka with her kid, Nick Bouker. weird to see her face up here… No Pebble.